Ever wondered what it’s like to drum in the circus? Nellyris Negron, who goes by Didi, has spent seven years touring around the world as the drummer of Cirque Du Soleil’s Amaluna. 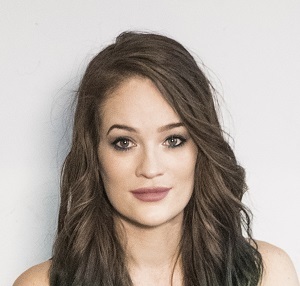 And she’s about to move on to a similar position with Cirque’s new 25th anniversary show, Alegria, premiering April 2019 in Montreal, Canada. How’d she get the spot? What’s the best (and most challenging) part about it? Didi was kind enough to share some experiences from her unique gig. What do you do with Amaluna? My role as the drummer is to make sure the foundation is on lock while keeping a high intensity performance night after night. Ten minutes before each show, I walk through the crowd playing a djembe to hype the crowd. It’s really fun to do since I get to interact with the families and kids in the crowd before going behind my kit. The expressions on the kids’ faces when they see a performer close up, it’s priceless. What does an average performance look like? Since my kit is already set up when we get to a new city, my preparation is minimal. We have a 30-minute sound check where we go over any changes in the show that day. Sometimes we may jam–it’s pretty laid back. I then start my makeup, which can take about 30 minutes to do (including my face tattoo). By then, it’s normally close to showtime, so I change into my costume and get ready to rock ‘n’ roll! How did you find out about the gig? Funny story… I had no idea what Cirque Du Soleil was. I was studying at Berklee College of Music when I received an email from a scout. Once I looked into it and realized what it was, I happily accepted the offer. I got to be a part of a brand new creation that started back in 2012. Seven years later, I have to say it was one of the best decisions that I’ve ever made. Was there an audition process? Since I was scouted, the directors already had my information. All I had to do was accept the offer and wait until they’d reviewed the other candidates. A few weeks later, I received the call that I got the gig. What do you like most about drumming with Cirque Du Soleil? My favorite part of the gig is definitely accenting all of the acrobatics tricks. It can be challenging while playing in an odd time signature, doing a fill and accenting a trick that’s totally not on time. It keeps me on my toes every single show, and helps keep things different and interesting. Traveling is another great part of the gig. I literally get to travel all over the world and play drums. It’s amazing! What are the biggest challenges with this gig? I get asked quite often if I ever get bored playing the same songs night after night. Some may see it as a huge challenge. I see it as a different day, a different crowd. It may be their first experience ever watching a Cirque Du Soleil show. I want to put on the best performance every night. One thing I can say is that this is a very demanding gig. I have to make sure that I am in the best shape possible–physically and mentally–to avoid any possible injuries, on top of lasting an entire 10-show week. I have been on Amaluna for seven years, and to this day, I can say that I have never been bored with this gig. I believe it’s more of a mental thing and how one views their individual situation. I like to stay positive and see the good things in life. I am very blessed to have a gig like this one, and I do not take anything for granted. 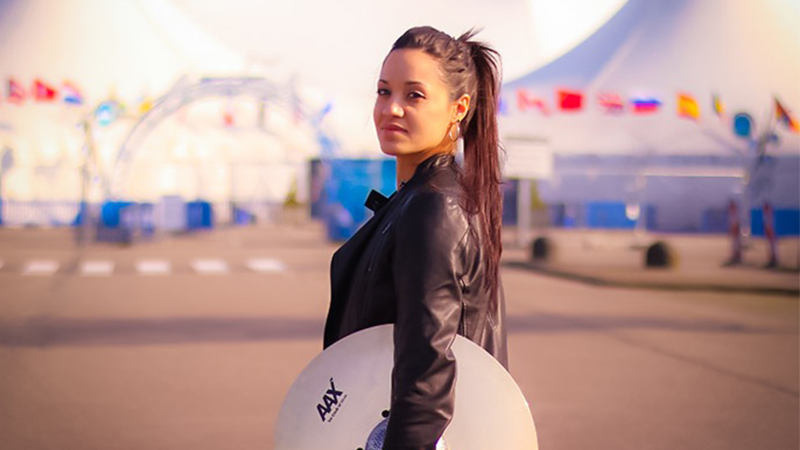 Didi Negron is the incoming drummer of Cirque du Soleil’s Alegria. 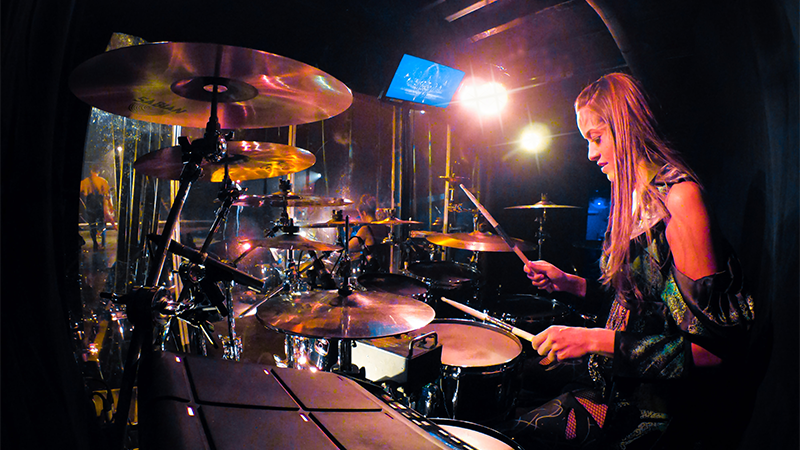 She has spent seven years as the drummer of Cirque’s Amaluna, playing over 300 shows a year. 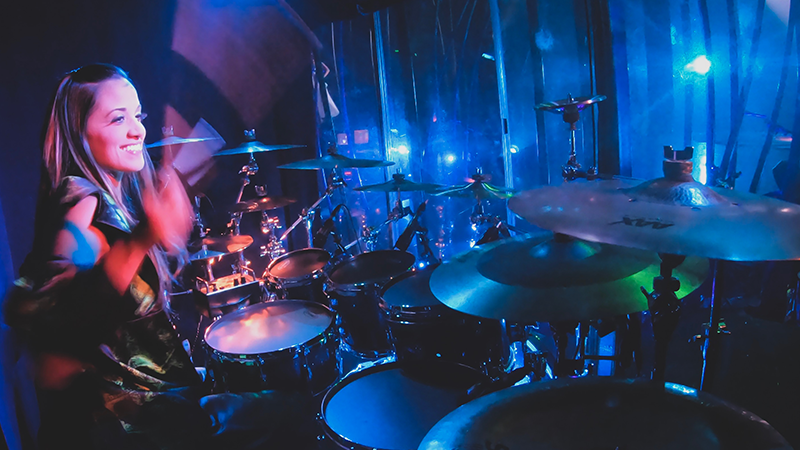 A clinician and Berklee graduate who’s studied under some of the U.S.’s top drummers, Didi has also spent the last five consecutive years as a judge for the Hit Like A Girl competition. She currently endorses Vater drumsticks, Sabian cymbals, Latin Percussion, Evans drumheads, Gretsch drums, Cympad, and JhAudio.